A Kirkby man kicked the wing mirrors off her partner’s mother’s car for the second time after hearing the relationship was over, a court heard. Russell Stevenson was drunk when he turned up outside his partner’s mother’s home, on Garden Lane, in Sutton, on July 6. He kicked both wing mirrors off her Kia Cerato and scratched the bodywork. The court heard Stevenson had done exactly the same thing to the car previously, and had been punished for it by magistrates on November 30, 2016. She said he had been off work because he was awaiting an operation, and hadn’t drunk alcohol since the incident. 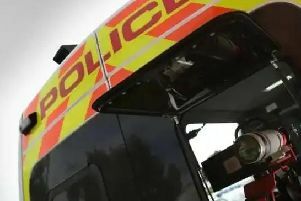 Stevenson, 35, of Walesby Drive, admitted criminal damage when he appeared at Mansfield Magistrates Court, on Wednesday. He gave Stevenson an eight week prison sentence, suspended for 12 months, and ordered him to pay £100 compensation, which will be added to the £1,200 he already owes the court.